Empire Photography will be taking school photos for all students at Registration Days, August 23 and 24, 2017. They offer a variety of packages and photo options. Please visit their website to place an order. All students are asked to take a school photo, even if not ordering. Photos are used by the district for student IDs and student records. Thank you! 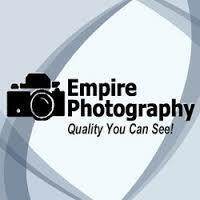 Go to www.empirephotos.com/order-photos and select "School"
Complete your order online. Don't forget your free background color selection! Your order will process automatically after images have been identified. You do NOT need to bring a receipt to Picture Day. **Address information is collected for billing purposes only. All orders will be directed to the school for distribution. Order forms are also available at the District Office and in the High School Office starting August 1st. They can also be printed here. If you choose to print an order form or pick one up, remember to bring it with you on picture day! Re-take day is scheduled for October 3, 2017.